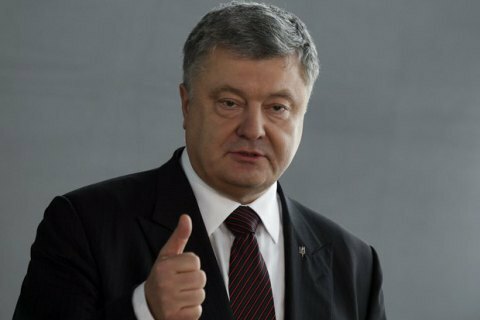 Ukrainian President Petro Poroshenko has said he will not allow revising the decentralization policy as it is in the interests of Ukrainian citizens and is one of the most efficient reforms. "I will not allow revising this policy as decentralization is in the interests of the communities, the interests of the residents. It is in the interests of all the citizens of Ukraine," the Head of State said at the XIV Ukrainian Municipal Forum, according to Ukrinform. Poroshenko emphasized that decentralization had drawn the authorities nearer to people and had turned out to be an effective vaccination against federalization. According to him, the reform of decentralization promotes settlement of many infrastructure and social problems in the best way, complies with the European integration plans, being fully synchronized with the European Charter of Local Self-Government. In addition, decentralization is an effective part of Ukraine's anti-corruption strategy, since it reduces the influence of the state on the distribution of monetary resources, demonopolizes and disperses the financial power, the President said. "Time has shown that we were right in our calculations. This policy is absolutely correct, and decentralization has proved to be efficient," he stressed.